Richard Bickerstaff and his friend Henry are prisoners on Grax, a hostile planet. 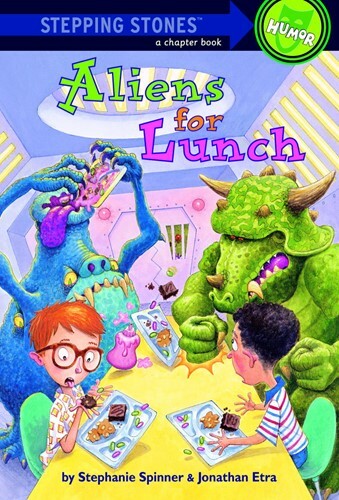 Aric, their tiny alien friend, has been taken from them--perhaps forever. And now they're eating lunch in a Graxian jail, face to face with a Turinga Death Machine! Can life get any more dangerous? Kids will love this very funny Stepping Stones HUMOR title! From the Trade Paperback edition.